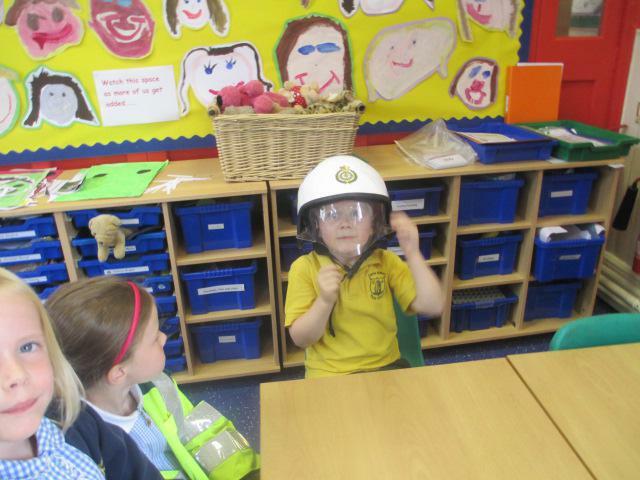 Our topic this half term is 'Marvellous Me'. 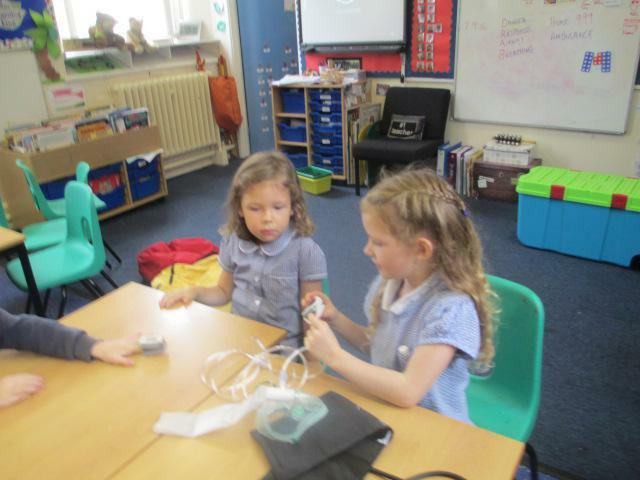 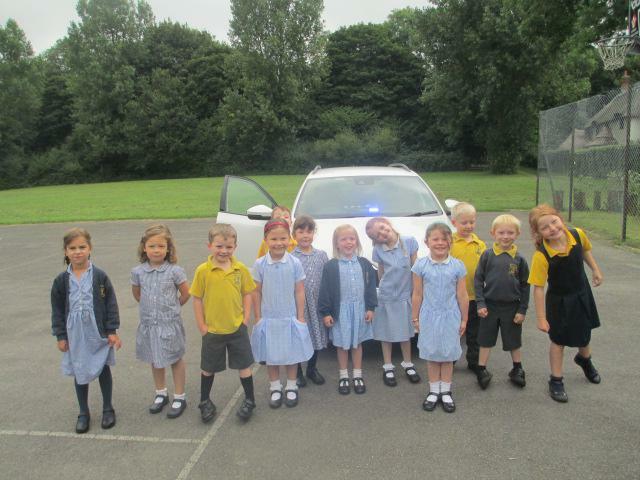 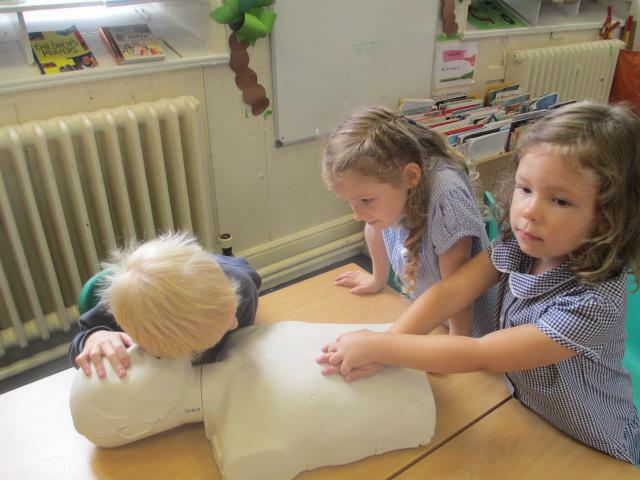 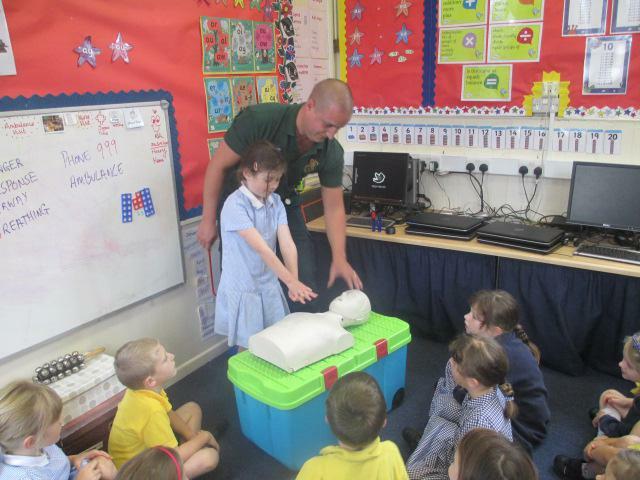 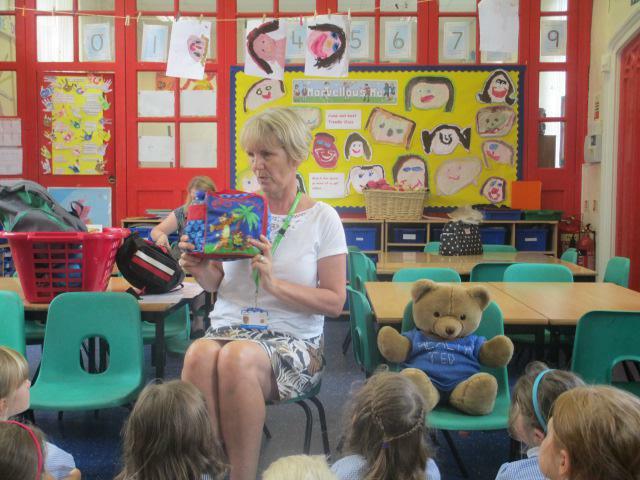 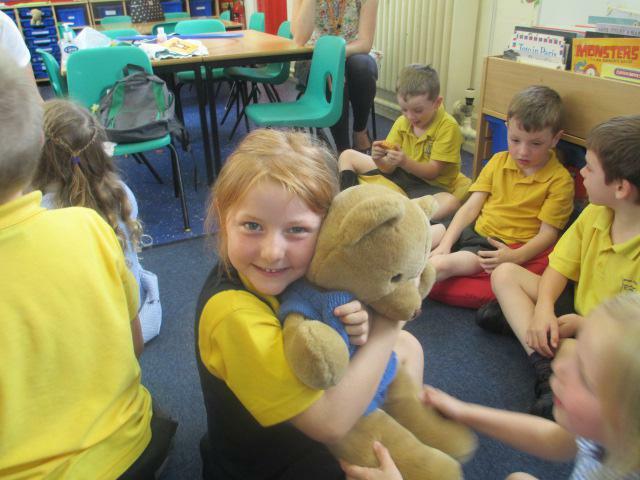 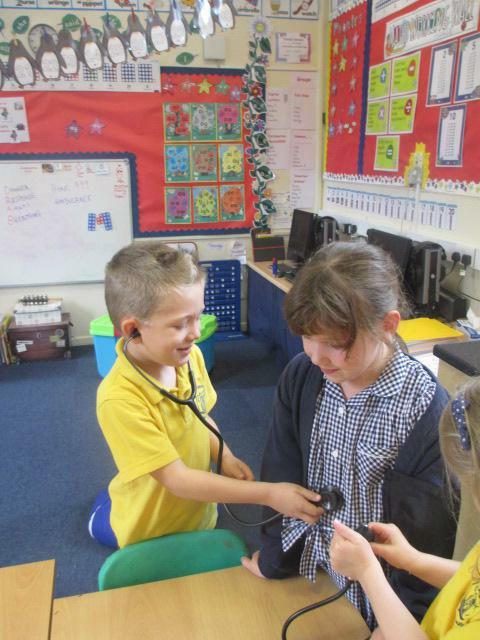 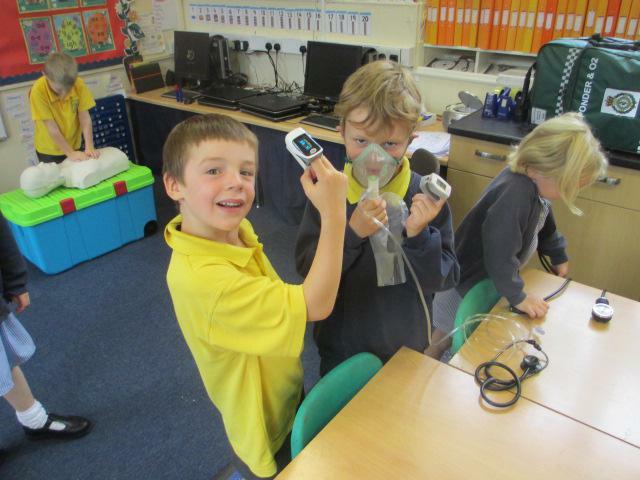 We had our learning capture this week with two visits. 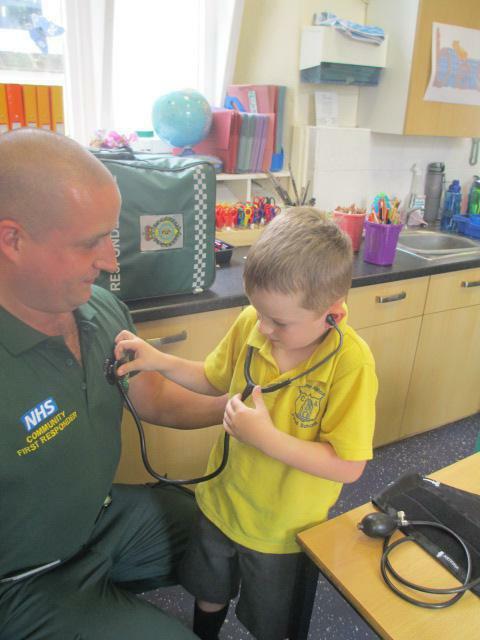 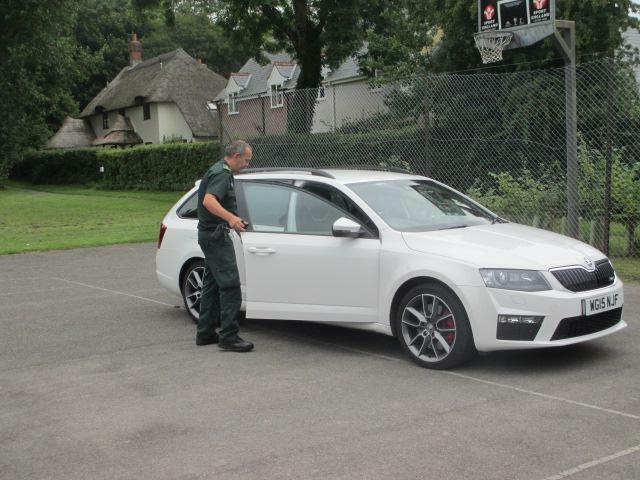 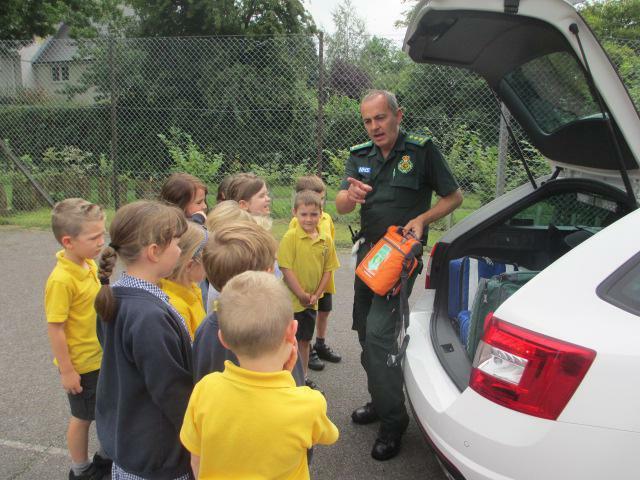 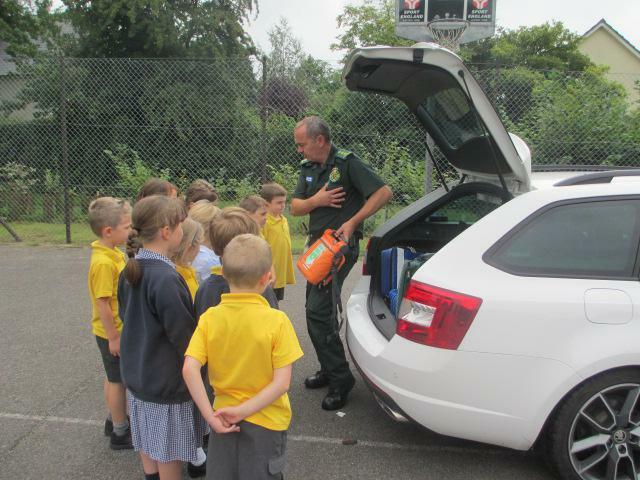 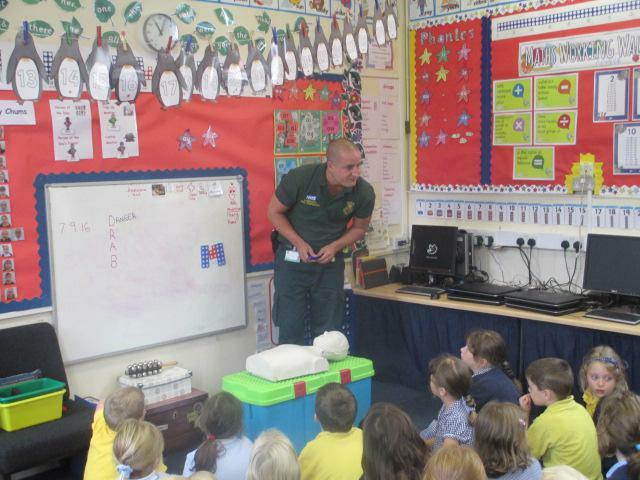 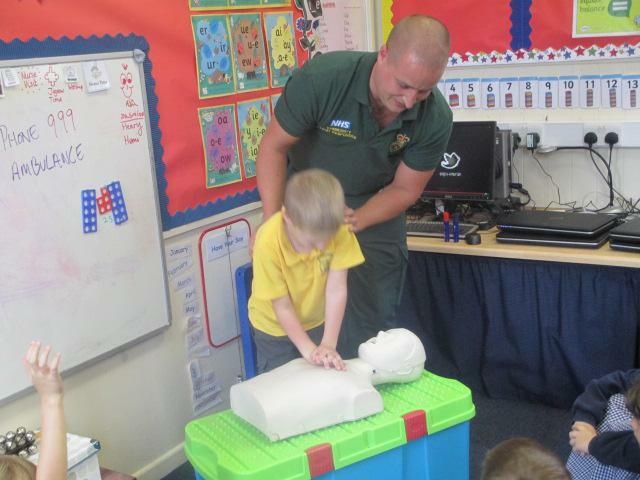 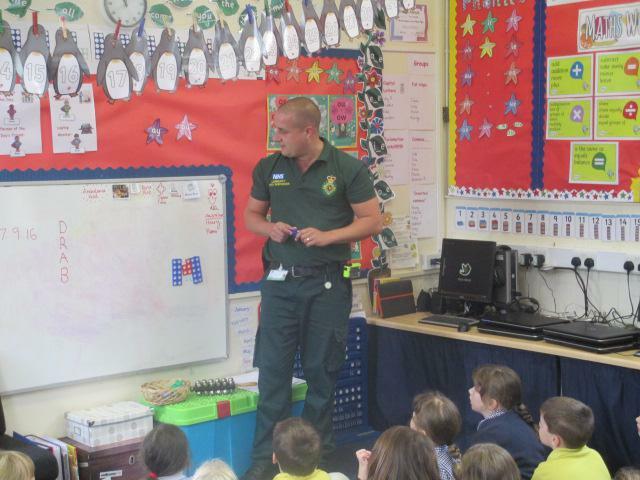 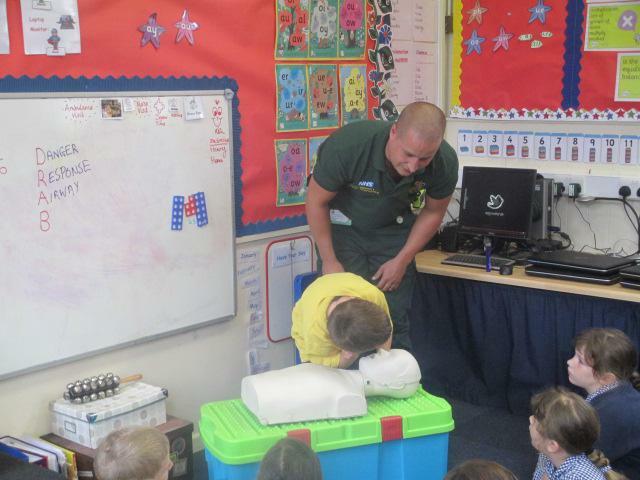 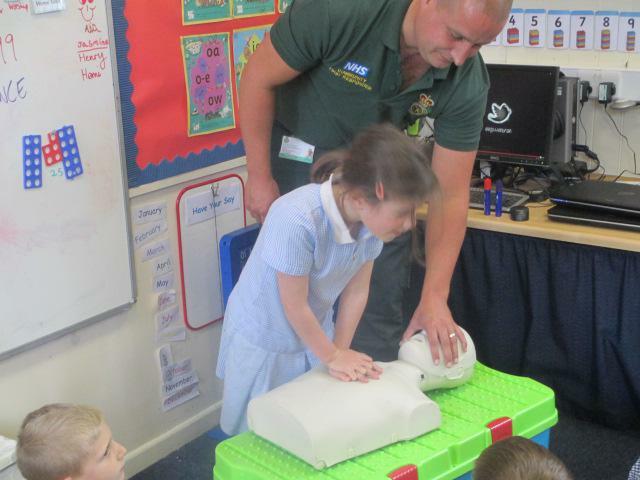 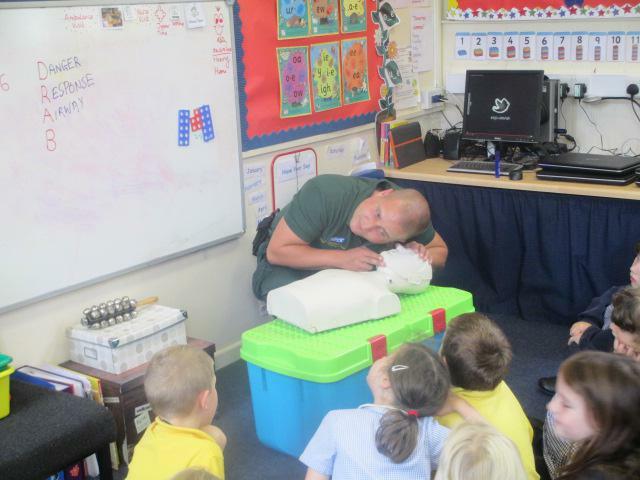 The first visit was from two Community First Responders called Chris Brokenshaw and David Toman. 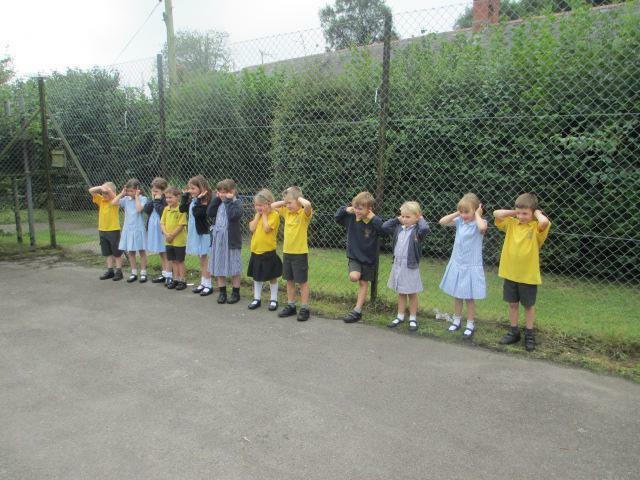 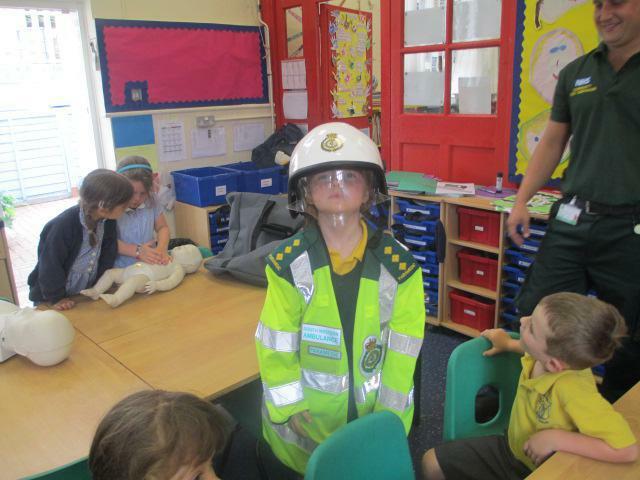 They told us what they do if they are called to an emergency. 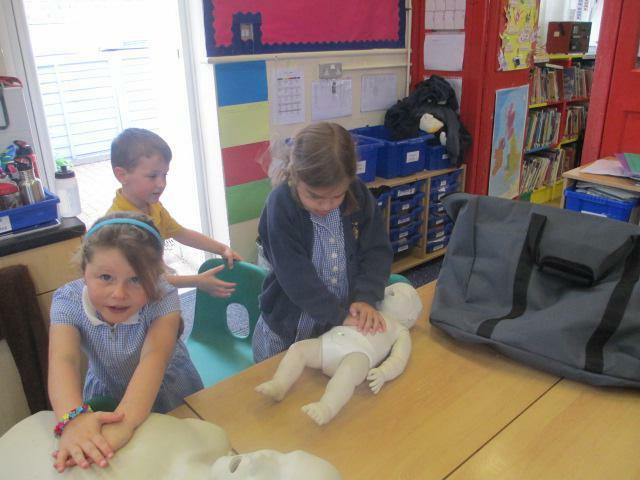 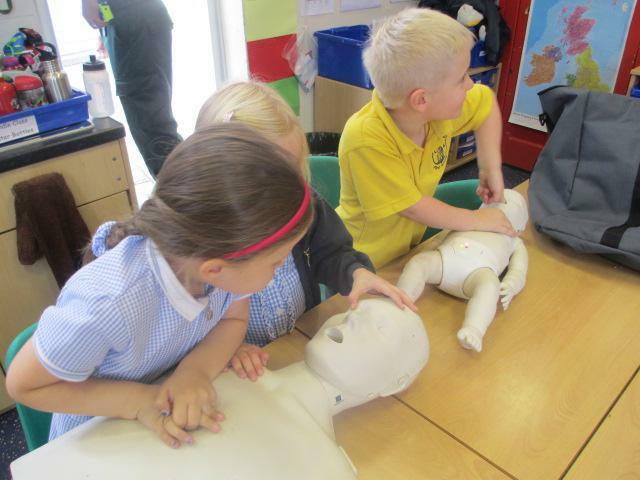 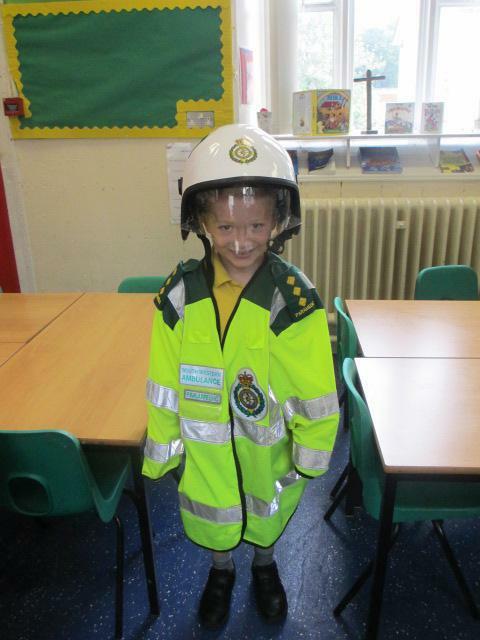 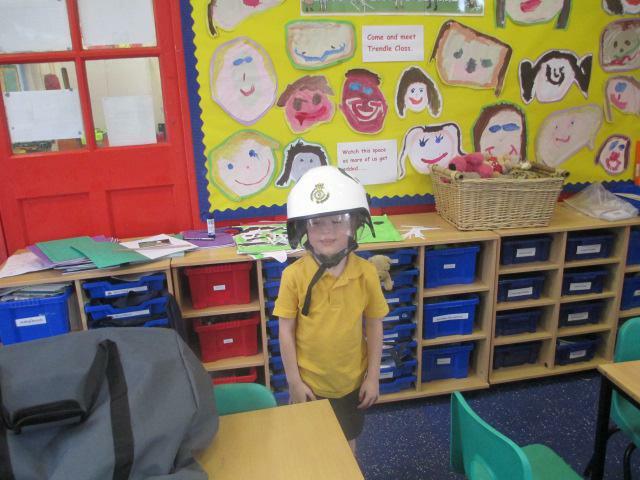 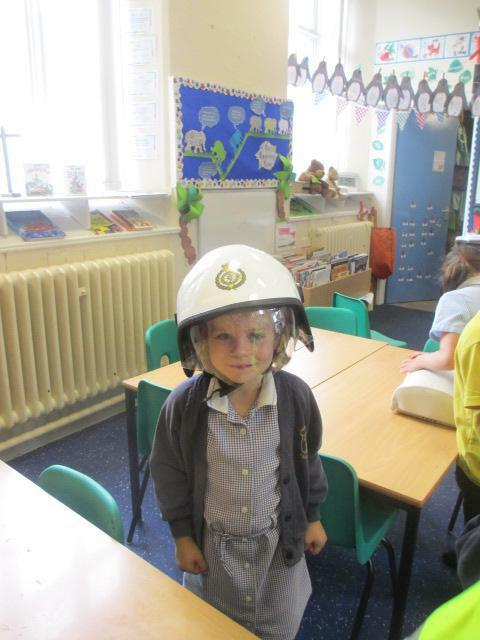 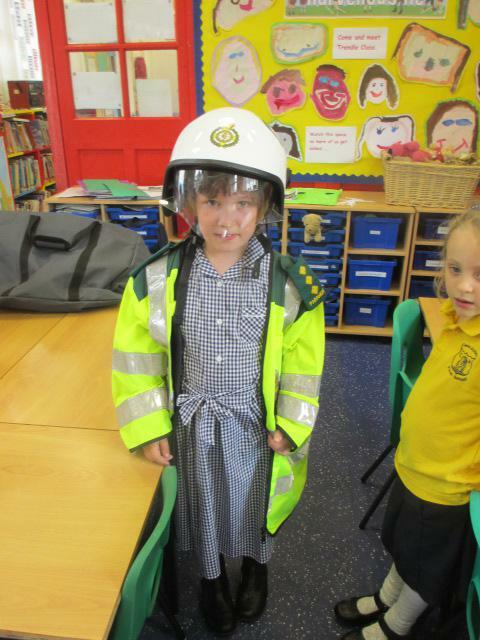 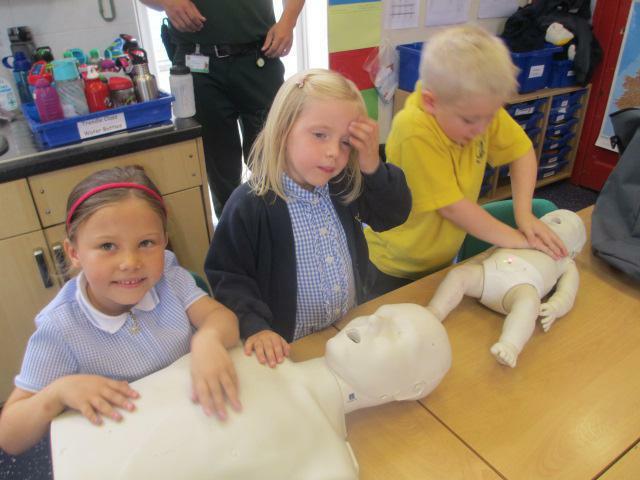 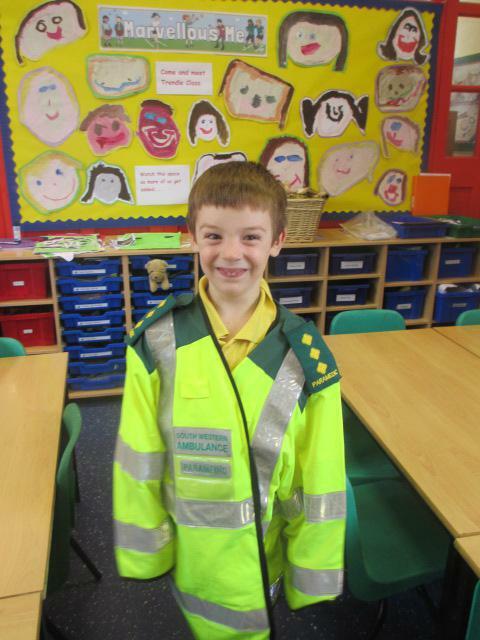 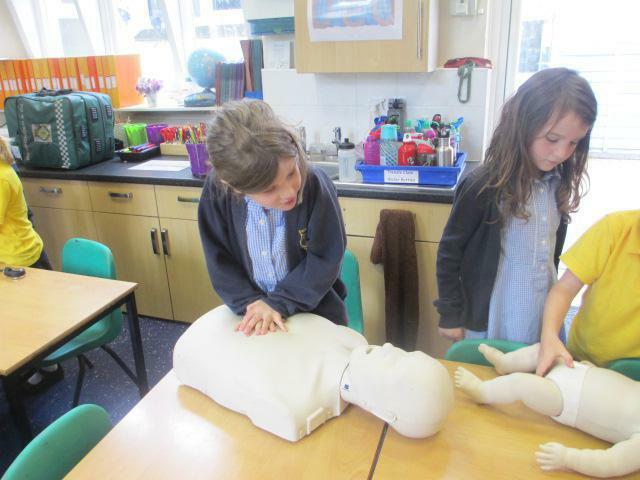 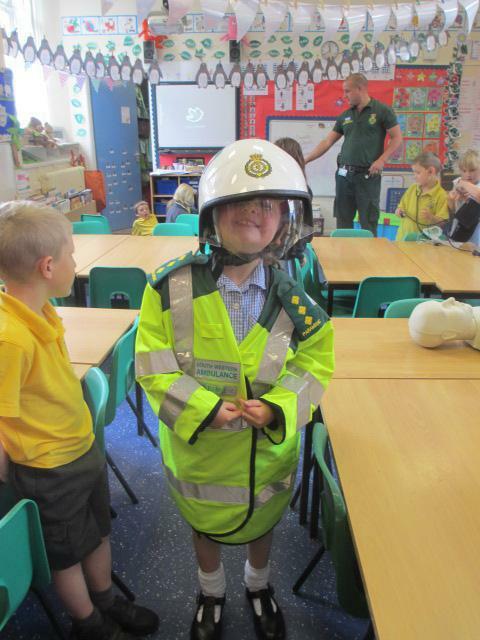 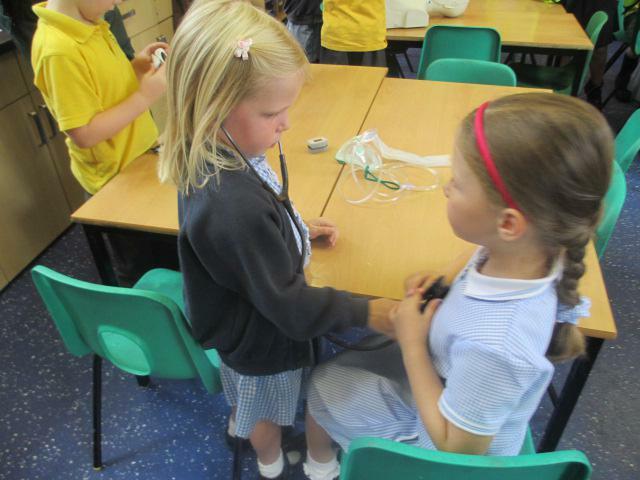 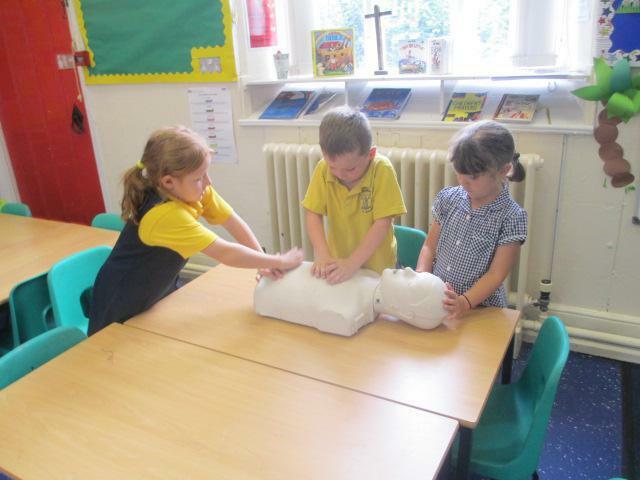 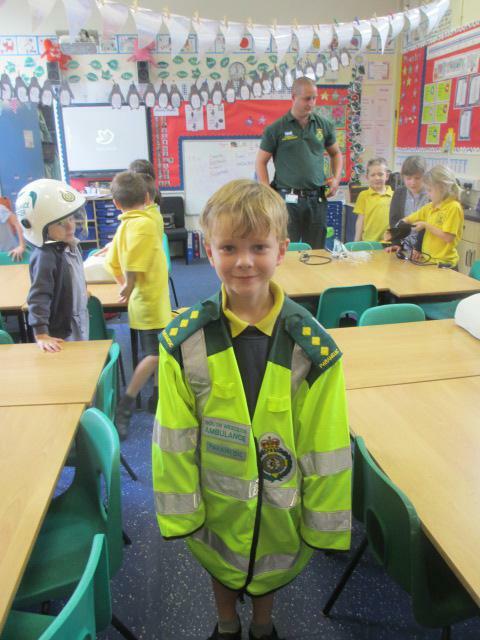 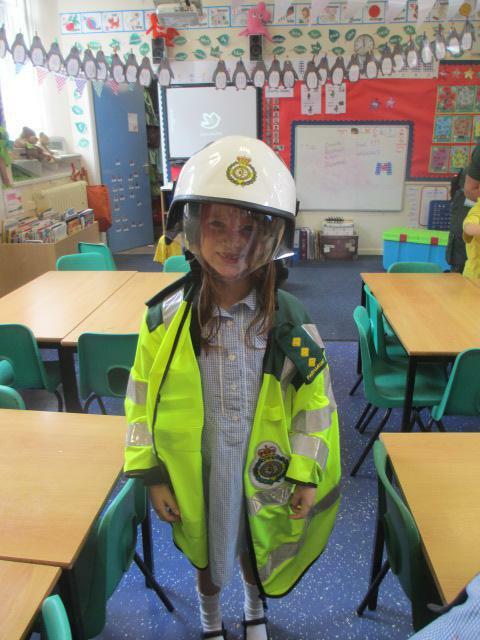 We were allowed to try first aid on models, try on their uniform and use some of the equipment they have. 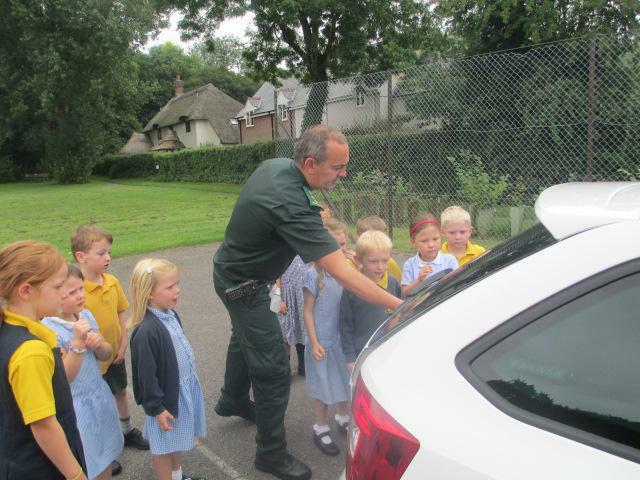 We were taken to their emergency vehicle and heard the loud siren. 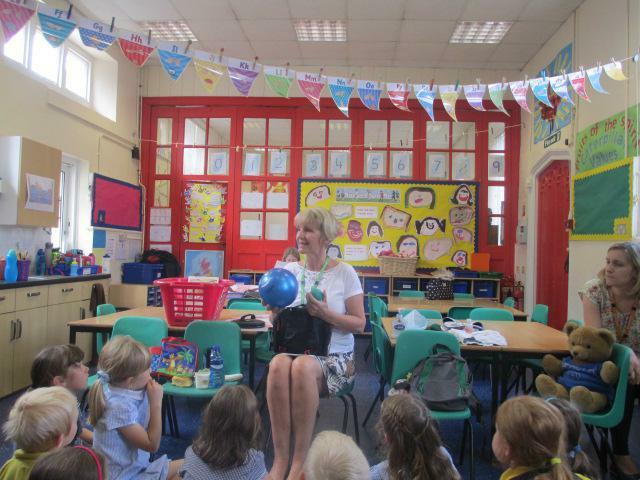 It was great fun!! 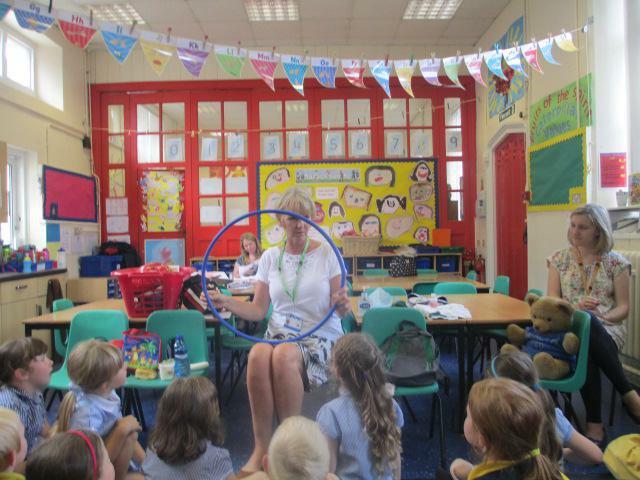 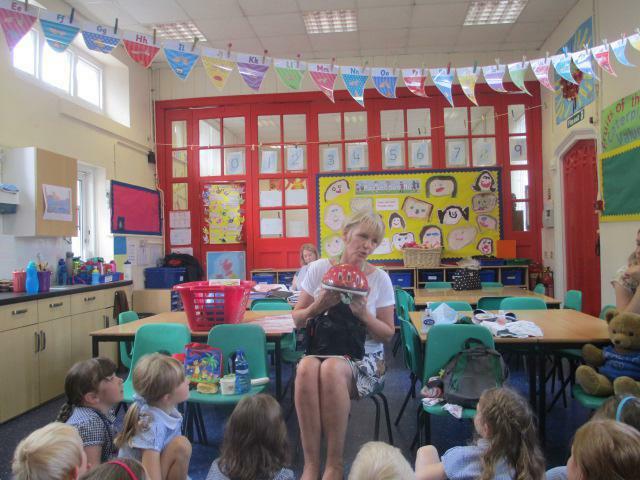 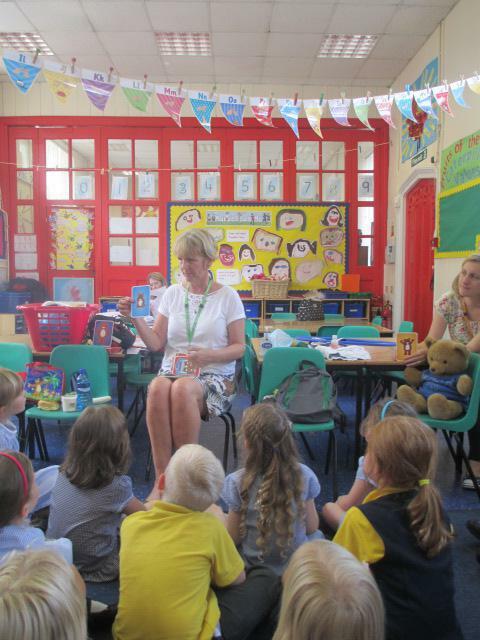 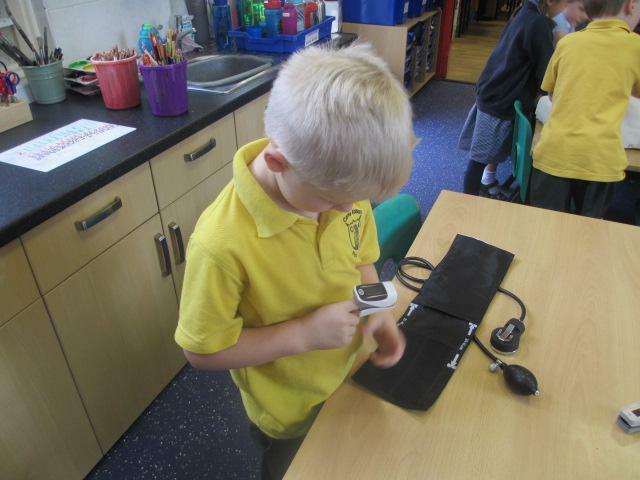 Later on in the day our school nurse Karen Caines cam to talk to us ablout being healthy. 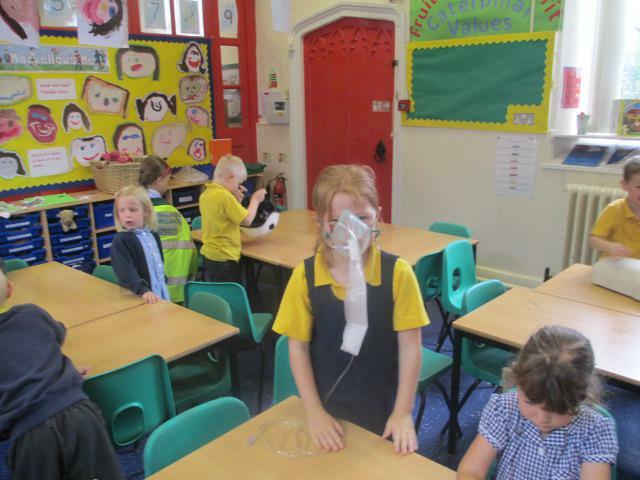 She had five bags which had different items in that help us stay healthy. 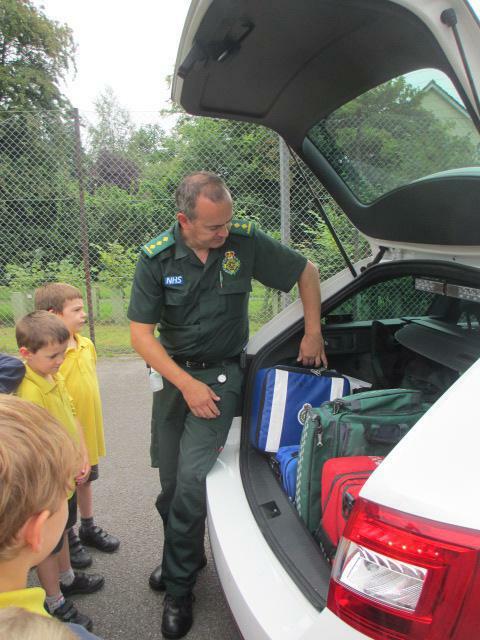 The bags included healthy food, keeping clean, exercise and healthy minds.